While we love our four-legged friends, we can’t allow dogs at the tasting room at this time. Crisp and refreshing, this wine captures the essence of why so many people love this varietal. Barrel fermented in new American oak barrels, with the lees stirred by hand, this delicious and well-balanced Chardonnay is sure to please. A classic, cool climate Pinot Noir that is elegant and true to the varietal. America’s favorite merlot, this is the perfect everyday wine for all occasions. Intense and flavorful wine made from vines ranging in age from 60 to 80 years. This compelling blend of Old Vine Zinfandel, Syrah, Cabernet Sauvignon and Petite Sirah has created a memorable and delicious wine. 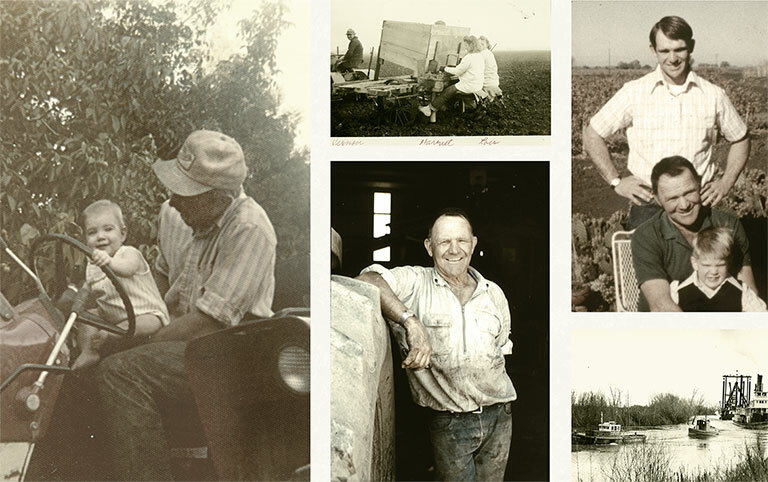 Six generations of the Bogle family have farmed in the Clarksburg region and it is our hope that another six generations will continue to live and work in this rich agricultural area. Nurturing our land and preserving its vitality is not only essential for our family, but also the world, so that future generations can enjoy many harvests for centuries to come. We strive for quality and consistency in every bottle of wine we produce. The path is not easy, but our family is committed to ensuring that you enjoy each glass you pour. Become a part of the family! Free wine tasting, special bottlings, library wines, exclusive events where you meet the Bogles...all with your free club membership!